Freckles (also known as ephelides) are small flat brown spots that appear on sun-exposed skin, especially the face and arms. 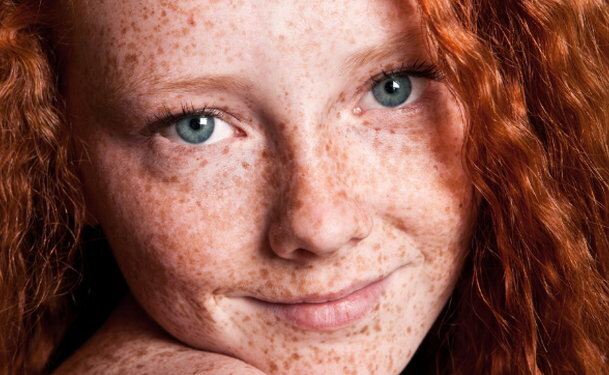 Freckles are inherited and become darker with consistent sun exposure. 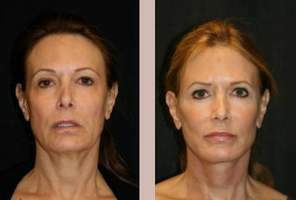 Ultraviolet rays from the sun activate pigment producing skin cells (melanocytes) to produce pigment (melanin). Increased melanin is manifested as dark or brown spots on the skin. Although it is not medically necessary to treat freckles, patients often seek treatment for cosmetic reasons. Potential treatments include topical bleaching creams, topical retinoids, chemical peels, liquid nitrogen, and laser or pulsed light therapy. Although freckles themselves are harmless, it is important to distinguish between freckles and a type of skin cancer called melanoma. If you have freckles, you have a higher risk of melanoma. Also, if your freckles are growing or changing, it is important see your physician for a skin check.